As a digital marketing nomad who always looking for ways to do work smartly, make the most of the available resources as well as to stay updated about latest news and trends in the industry, you need a list of best digital marketing blogs to read new things every day. These blogs are online platforms that help you carry on with the radical and rapidly changing trends in the market. The core purpose of reading top online marketing blogs is to congregate knowledge and information about latest marketing techniques that you can employ in your digital campaigns to boost digital marketing ROI not only for your own business but for clients as well. Regular reading of the best digital marketing blogs will steer you towards the world of opportunities that are most relevant to your niche or industry. 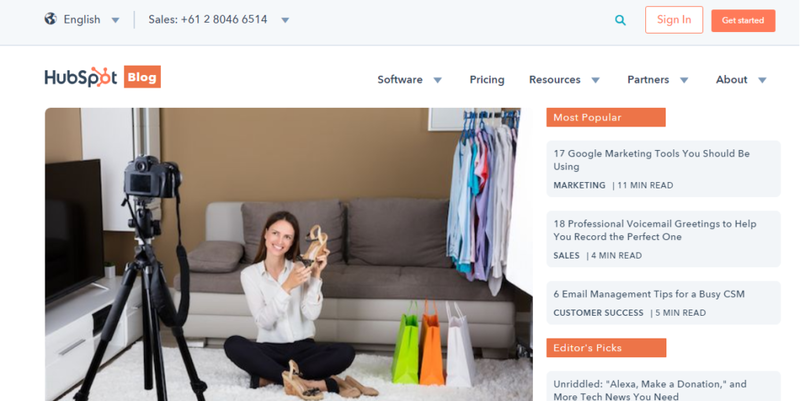 Whether you want to learn more about content marketing, social media optimization, blogging, email marketing or search engine optimization, we have compiled a list of 10 best digital marketing blogs to read daily. The following online marketing blogs always publish something informative, entertaining, and most vital to the digital marketing world. It is a blog that covers all the vital and possible aspects of content creation, content marketing, blogging and SEO tips for bloggers etc and always share unique, easy to read and informative content with the audience on regular basis. Whether you are a blogger or content producer, it could be a great place for you to stop by in order to get in detail knowledge and tactics to create content that captures the attention of readers and helps you secure high ranks in search engines. If you are in search of a digital marketing blog that provides a wealth of materials to boost content marketing ROI via content creation and blogging, you should bookmark Copyblogger in your browser. It sounds like a place to learn latest techniques about content marketing as well as to create content that brings organic traffic to your brand or business. As Hubspot has a creative and highly experienced team of content creators, it is known as one of the best digital marketing blogs in the industry. It’s the heaven for inbound marketers as inbound marketing related topics are widely covered here. Most of the authors of this blog share their personal experience and live example of their marketing efforts in blog posts that bring massive visitors to the blog. Since content marketing is one of the vital aspects of digital marketing, everyone should understand the real value and significance of quality content in digital marketing and Content Marketing Institute would be the highly recommended option for this purpose. They regularly help their readers to boost their content marketing campaigns by providing proven strategies and tactics in their blog posts. 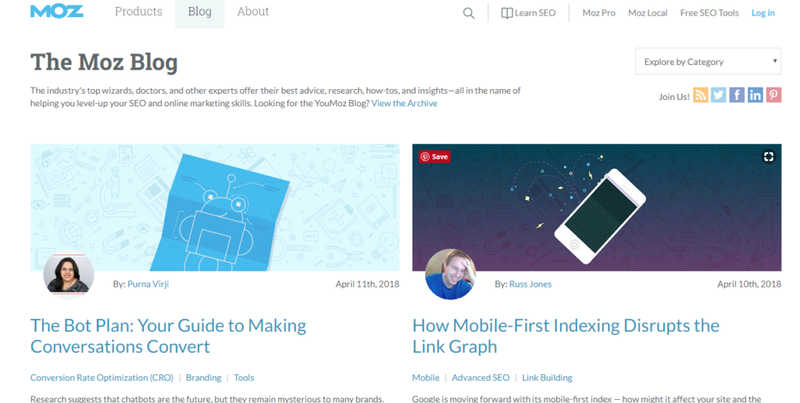 If you also want to remain on the top of latest content marketing trends and best practices, the blog should be in your online reading list. Google always provides authentic and most relevant information regarding your queries. Do you agree? That’s why a visible position in the list of 10 best digital marketing blogs has successfully been secured by Think with Google blog. It is the place where you can get data-driven tactics and insights for your digital marketing campaigns to boost your digital marketing ROI. Marketing Land is one of the best online marketing blogs that always provide well researched and properly written content for their readers. Whether you want to know the latest updates in CMSs, online marketing rends that work or new creative features added to different social media platforms, this blog is absolutely for you and never forget to bookmark. Are you still searching for an online platform that provides in-depth knowledge and information on the subject of search engine optimization and marketing? Just visit the Search Engine Journal blog and polish your SEO and digital marketing skills according to the latest updates of Google and other search engines as they always provide quality content that helps audience in getting high search engine ranks. It sounds like all in one package for digital marketers as they can read about SEO, SMM, email marketing, PPC and latest search engine algorithms updates etc on this blog. They provide realistic data regarding marketing and also educate the readers that how to apply for their individual digital marketing campaigns. The Kissmetrics blog always shares something result driven with a particular focus on making use of marketing data and analytics to improve marketing results eventually. It is one of the best digital marketing blogs to read daily. They also encourage their audience thorough testing and measurement of online campaigns in their blog posts. You should be the regular reader of the Moz blog if you really want to stay on the top of latest trend and updates regarding search engine marketing, SEM, PPC, inbound marketing and so on as it is the well known digital marketing blog in the world of marketing. In their each and every blog post, they help the audience to understand the significance of SEO in online reputation management and how the latest search engine updates, guidelines, rules, and regulations can be associated with search engine results to rank higher. Moz blog usually covers everything about digital marketing that an experienced marketer should be familiar with. They are also offering a lot of handy SEO tools that can assist online marketers to conduct their campaigns efficiently based on factual metrics and analytics. Its not just a best digital marketing blog to bookmark but a pack of SEO tools as well that not only help digital marketers in conducting site audit but also let them know what they should do to get boosted outcomes. The abundance of proven tactics and tips regarding blogging, SEO, PPC, content creation, and marketing are regularly posted in the SEMrush Blog to help novice marketers shine in the industry.